Fundraising can be an uncomfortable prospect. Asking for money can be awkward, and oftentimes the amount raised can appear insignificant. These feelings are common, and they leave many hopeful adoptive families discouraged as they face the costs associated with adoption. We’re here to help. Adoption fundraising doesn’t have to be awkward or painful. With the right attitude and ideas, it can be fun to raise funds for your adoption, and a great way to get your friends and family involved in the process. This is our second post about adoption fundraising ideas. If you missed our first 10 great adoption fundraiser ideas, make sure to go check it out! If you’re ready for more ideas, let’s dive in. Take this elementary school classic and turn it into a fundraiser for your adoption. You can host this event at your house or a local community center. Invite dads and their kids to come enjoy coffee and donuts, and leave a suggested donation jar at the door. During the breakfast, you may want to give a brief speech about how thankful you are for the people who came, and share a bit about how much adoption means to your family. Breakfast-themed fundraisers aren’t just for dads. To bring the moms in your community in as well, host a muffins with mom fundraiser. You can do this separately, or you can combine these first two ideas into one big fundraiser. Also, moms can eat donuts if they want, and dads can eat muffins too. Don’t let catchy titles stop you from enjoying your favorite morning pastry. Here’s an important point to keep in mind when fundraising: a lot of little efforts go a long way. Every now and again, you’ll see a viral GoFundMe campaign that raises thousands of dollars. However, most fundraisers make a small dent in the total cost of adoption. But, that’s okay. A lot of small things can add up to make a big difference, and hosting a bake sale is a great example. You may only raise a few hundred dollars, but that will make a difference in the end! There’s an argument to be made that tacos are the best culinary creation on the planet. There are so many ways to prepare tacos — plus, they are easy, cheap and casual. Hosting a taco night with a $5- or $10-per-plate charge is a great way to have some fun with your adoption fundraiser. Invite family, friends and neighbors over for the fiesta. A two-for-one: raise funds for your adoption and get some practice with kids. Put out a standing invitation for a parents’ night out. Offer your babysitting services while giving your friends a chance to have a nice date. 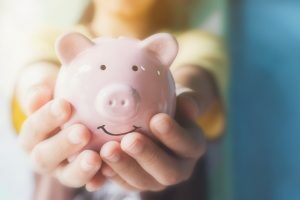 Make it clear that this is an adoption fundraiser, and instead of charging an hourly rate, simply ask parents to make a donation that they feel comfortable with. Adoption fundraising ideas like this are great for people who don’t believe in asking for money. You’re not just asking — you’re providing a service in return. Families come to adoption from many different walks of life. Some are starting their family, while others are growing. If you do have children, a toy auction is an adoption fundraiser that can help them feel involved in the process. Together, go through old toys and choose the ones that you can part with. Host a toy auction, making clear that the proceeds are all going toward adoption costs. For a little extra fun, find a gavel and let one of the kids run the auction. This idea takes a little more preparation on the front end, but the reward can be big. Do some research and find a good vendor to order custom t-shirts from. Put a designed logo or some text on the front and a link to your adoption fundraising website on the back. Sell the shirts for a reasonable price (maybe $20 if they cost you $10 a piece to make) and put all the funds toward your adoption. Now, you’ve managed to raise funds and spread the word about your adoption through your new walking advertisements! Have any athletes in the family? You can organize a basketball tournament as an adoption fundraiser. Charge an entry fee per team — maybe $100 — and work with a local gym or YMCA to host the event. Draw up a bracket, and play ball! You can also leave a donation jar at the entrance to the gym for friends and fans to contribute to the fundraiser. Everyone loves a reason to break out their best dress or suit. A benefit dinner is the perfect opportunity. Serve a nice meal, either home-cooked or with a help of a catering company, and ask those in attendance to make a generous donation toward your adoption funds. You can partner with a local restaurant for a fundraiser night. Many restaurants will work with you to set up a night where a portion of all sales (maybe 10-20 percent) go toward you adoption funds. This option is great, because all you have to do is get people to show up! Hopefully something on this list jumps out at you and helps you get started in your adoption fundraising. If not, make sure to check out our extensive list of 50+ adoption fundraising ideas. And if we missed the best one, let us know in the comments.